This qualification is aimed at anyone wanting to work as a door supervisor in the UK. 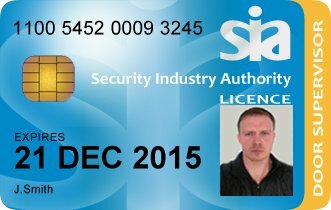 Under the Private Security Industry Act 2001, all door supervisors must hold a licence to practise issued by the Security Industry Authority (SIA). The Level 2 Award for Working as a Door Supervisor within the Private Security Industry is a nationally recognised qualification and is endorsed by the SIA and regulated by Ofqual. Successful completion of this course enables a door supervisor to meet one of the requirements to apply for their licence. Unit 3 – 20-question multiple-choice examination paper. Unit 4 – On going practical assessment throughout the course.